The Coach in the video is Russ Willemsen from the South Alabama men's staff. The drill can be modified to fit your needs and used during your fall skill development workouts or can be used in practices this coming season as well. To score a point in the drill, the player must make 2 shots in a row from one spot. One shot is a catch and shoot three point shot, the second shot is a one dribble pull up. The shooter should lternate those shots until her or she makes two in a row. When you do the drill live, shoot pull ups going right for the first 2 minutes and 30 seconds, then shoot 5 free throws. Finish out the last two and a half minutes with pull up shots going left. Hope this helps your summer basketball training! This group is for point guards and wing players. created by College and Professional coaches. 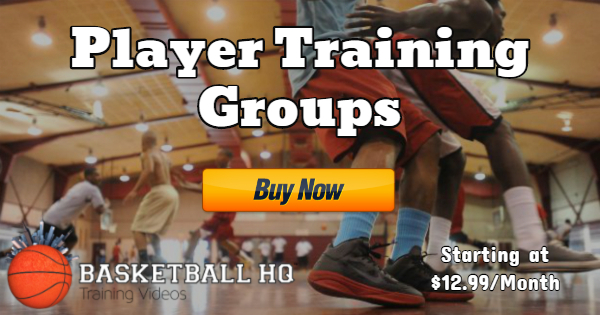 Complete Individual Training Basketball Group. for a vital team building role. the road long before I dance under those lights."